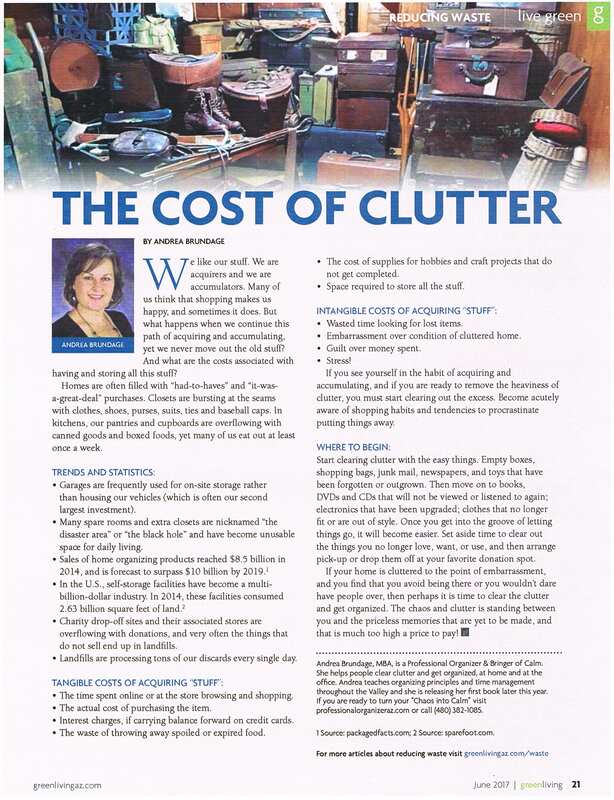 What are the real costs associated with clutter? 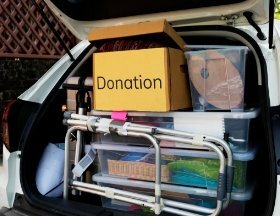 There is a high cost with having clutter and it is not always evident at first glance. Here is an article I recently wrote for Green Living magazine that addresses the subject in more detail. Click here to access Green Living magazine’s June edition. Do you need help clearing that clutter? Are you tired of wasting time, money, energy looking through piles of stuff? There is a better way and I can help you. Call me right now if you are ready to change your life.